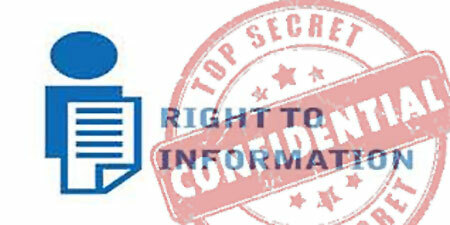 The Right to Information Act was enacted to bring transparency in administration and thus check corruption. Kerala government is hitting at the very root of the legislation by exempting a branch of the Vigilance and Anti-corruption Bureau (VACB) from the purview of the Act. A notification issued by the government a month ago excludes the “top secret section” of the Vigilance from the purview of the Act. All confidential verifications and vigilance enquiries /quick verifications of sensitive nature are done by this section of the VACB. Those who can hide behind the notification include the Chief Minister, former Chief Ministers, Ministers, former Ministers, members of the Assembly and Parliament and all India service officers. Works related to all surprise checks inclusive that of all India service officers, Chief Minister, former chief ministers, ministers, former ministers, MLAs, MPs are also exempted. All correspondence made by VACB with Lok Ayukta, Lok Pal, CBI and CVC in connection with any enquiry and investigation as well as all petitions which are already under enquiry/investigation by Lok Ayukta,, Lok Pal, CBI and CVC are covered under the notification. Interestingly, the notification is issued by a government headed by a Chief Minister who has set up Web cameras in his chamber and office claiming that they would enhance transparency. (That it is a farce is another matter). Moreover, the notification is issued misinterpreting a provision of the RTI Act. Section 24(4) of the Act provides for exclusion of intelligence and security organisations from the purview of the Act. The Government has used this provision to include the ‘T’ branch of the VACB in the schedule of organisations excluded from supplying information under the Act. But the rider is that the provision applies only to “intelligence and security organisations” notified by the government, and a vigilance bureau is neither. Even if it is accepted for argument’s sake that the VACB is intelligence or security organisation, Section 24(4) specifies that information pertaining to the allegations of corruption and human rights violations shall not be excluded. So, the notification by the government is totally in violation of the Act. It is just aimed to help corrupt ministers and bureaucrats to buy time from public exposure just before the elections. It is notable that the LDF has not strongly come out against the notification— they are also beneficiaries of the notification. This entry was posted in Administration, India, Kerala, politics and tagged corruption, RTI, RTI Act, vigilance by Roy Mathew. Bookmark the permalink. My name is Aly and I would like to know if you would have any interest to have your website here at expert-eyes.in promoted as a resource on our blog alychidesign.com ? No problem as long as there is no charge. Mullaperiyar: What is Pinarai Vijayan up to?